The Congress is leading in 115 seats and the BJP in 105, according to the latest trends. The BSP is leading in four places and the SP is ahead in two. In hopes of a victory over the ruling Bharatiya Janata Party based on trends for the 230 assembly seats in Madhya Pradesh, the Congress party has begun contacting leaders of other parties and the independents for mustering a simple majority, party sources said on Tuesday. 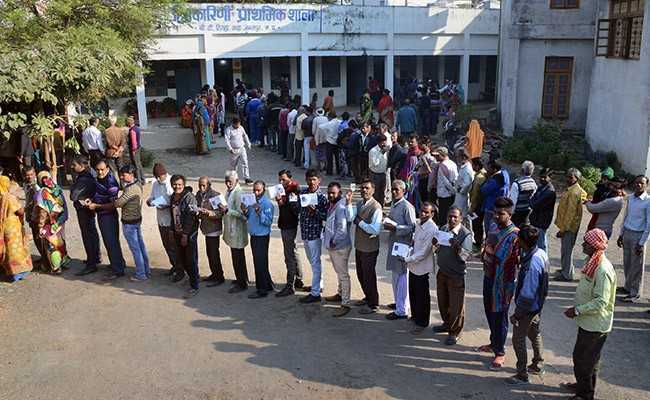 Congress leaders have contacted the Bahujan Samaj Party (BSP), the Samajwadi Party (SP), the Gondwana Ganatantra Party (GGP) and independents who are leading, the sources said. The Congress is leading in 115 seats and the BJP in 105, according to the latest trends. Madhya Pradesh Congress chief Kamal Nath and the party's campaign committee chief Jyotiraditya Scindia have contacted potential allies, the sources said. Mr Nath was in contact with BSP supremo Mayawati and SP chief Akhilesh Yadav, besides leaders of Gondwana Ganatantra Party whose candidate is leading in one place. The BSP is leading in four places while the SP is ahead in two constituencies. Mayawati had snubbed the Congress party's overture for alliance in the state ahead of the elections. Mr Scindia has contacted the independent candidates who are leading in the vote count, said sources.